Blue gray glass quartz mosaic tile. 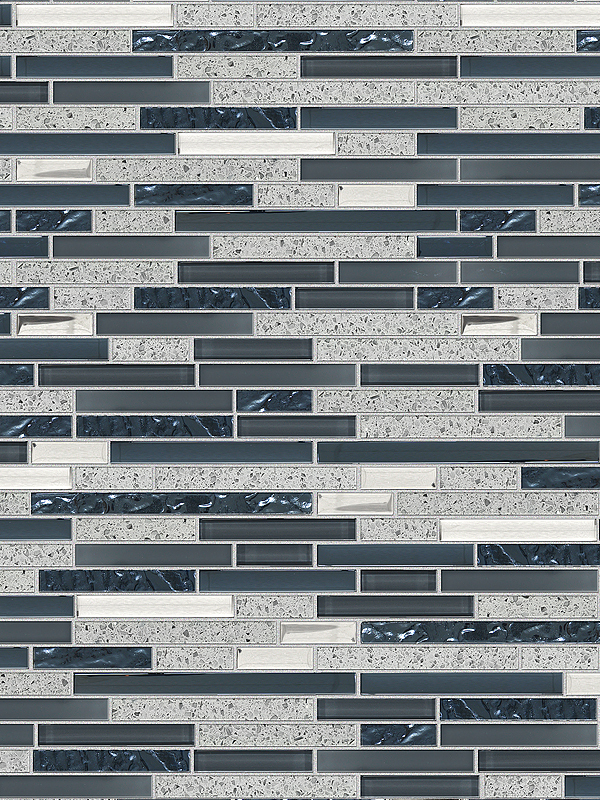 Let this blue & gray subway interlocking mosaic tile to shine on your bathroom accent wall or kitchen backsplash. Add elegance and class to your project with this glass, quartz and metal mix mosaic tile.